The domestic dog (Canis lupus familiaris) is an incredibly variable species. The American Kennel Club (AKC) currently recognizes 189 different breeds, but this is hardly a complete list. The AKC doesn’t recognize pit bulls, for example (they do, however, recognize American Staffordshire Terriers, which are essentially pit bulls with fancier names). The AKC’s across-the-pond counterpart, the United Kennel Club (UKC) recognizes more than 100 additional breeds, for a total of about 300. Meanwhile, the leading international authority – the Fédération Cynologique Internationale (which means World Canine Organization in French) recognizes even more. Their list includes about 350 breeds from all around the world. But regardless of which breed registry’s list you prefer, the point is obvious: Dogs come in an incredibly diverse array of sizes, shapes and personalities – even though they are all members of the same species. Collectively, these breeds display a wide variety of coats and colors, from the mostly hairless bodies of Chinese crested dogs to the long, silky locks of Afghan hounds, to the waterproof and mop-like mane of the Puli. This kind of variation also occurs within breeds. Labrador retriever litters, for example, frequently include pups of different colors. But, you may protest, color and coat are superficial traits. They are unlikely to reflect widely disparate biology. There’s there’s no fundamental or profound difference between dalmatians with black spots and those whose spots are liver-colored. You’d be right, but we’ve only just begun. Body size is one of the most important aspects of any living organism. It influences everything from prey selection to offspring size. It can even help predict a species’ relative extinction risk. Individuals and populations of most species usually exhibit a relatively similar size. This blue jay may weigh a quarter-ounce more than that blue jay, but they both weigh about the same thing. There are exceptions. Many fish and several snake species, for example, exhibit a broad range of sizes. However, most animals follow the rule. Dogs, on the other hand, are a different matter entirely. In fact, domestic dogs exhibit the greatest difference in body size of any mammal. Consider that Chihuahuas (generally recognized as the world’s smallest breed) weigh about 4 or 5 pounds, whereas Great Danes (likely the largest breed) regularly reach 200. A few Mastiffs have even tipped the scales at 280 pounds or so. That is a 40- to 70-fold difference in body size. But neither color nor coat nor body size represents the most impressive diversity found among our favorite companions. After all, farmers have created an incredible number of chicken breeds — Oklahoma State University lists more than 60 such breeds, but the total number is likely much, much higher. These breeds primarily differ in terms of plumage, size and even reproductive characteristics. For the most part, it is easy to understand how breeders created these various lines. Want a chicken with white feathers? Make a bunch of baby chickens, and pick out the ones with any white feathers. Breed these animals together, and you will get animals with even more white feathers. Repeat the process long enough and you get a completely white bird. You could do the same thing with behaviors. Want to produce a line of laboratory rats that don’t bite? Cull the biters from the colony and encourage the non-biters to breed. Want a four-legged companion that is helpful in myriad ways? While scientists continue to debate the precise origin of domestic dogs, as well as the details of the intertwined paths our species have traveled, the broad strokes are pretty clear. 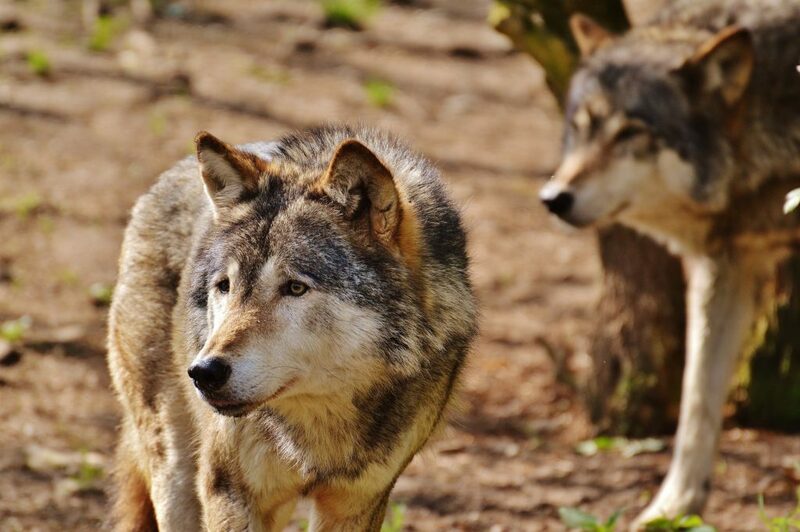 Somewhere between 50,000 and 100,000 years ago, some wolves began hanging around humans (others continued doing wolf stuff, and still others tried other things that didn’t prove effective). This afforded them the opportunity to scavenge discarded food and leftovers. In essence, humans started serving as a reliable source of supplemental calories, thereby increasing their ability to survive – a trait biologist call fitness. On balance, Mother Nature smiles upon those who increase their fitness. 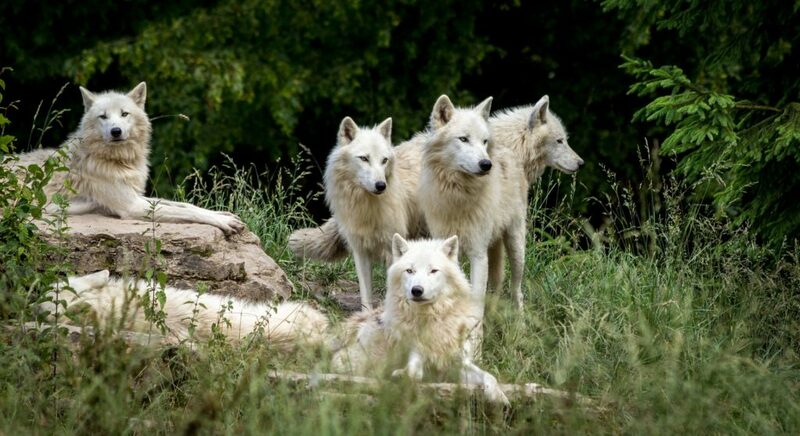 But this wasn’t a one-way relationship — humans benefitted from the wolves hanging around too. Humans are smarter than wolves, we are better equipped for building things than they are, and we are much better at throwing rocks and sticks at prey than they are. We can climb trees better than they can, and we’ll even give them a run for their money when it comes to long-distance travel. We even see better than they can. At least, we see better than they do during the day. Wolves see much better than we do at night. 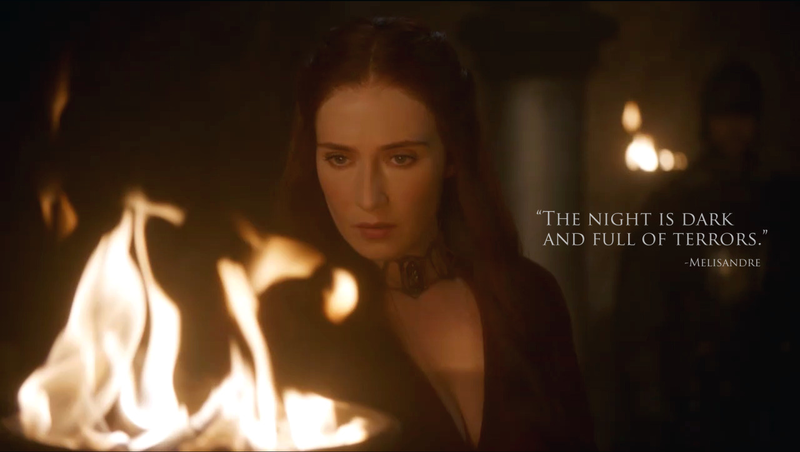 And this was important, as the prehistoric night was dark and full of terrors. Creeping predators would find sleeping humans to be relatively easy prey. This nocturnal vulnerability undoubtedly played an important role in our species’ modern fear of the dark. But wolves don’t have much trouble spotting creeping cats and canids (likely the most important predators of early humans) in the dark. So, when combined with their superior senses of smell and hearing, the wolves’ excellent night vision made them remarkable sentries. This type of win-win relationship is often termed a mutualism. Other examples include bees and flowers, tick-eating birds and ungulates, and pilot fish swimming alongside sharks. Because the relationship was so mutually beneficial, it persisted for thousands of years. Over time, both species became more comfortable living in close proximity to each other. Eventually, humans began playing a role in the determination of breeding partners – essentially introducing the world to the process of artificial selection (one of the other mechanisms by which evolution occurs). This would mark the beginning of the domestication process. 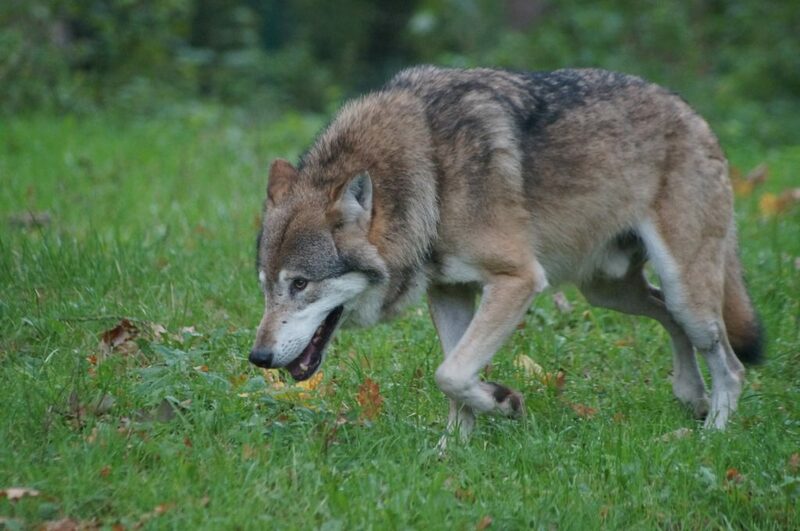 The exact demarcation line between wolves and domestic dogs is somewhat arbitrary, but the relationship proved extraordinarily important for both species. Before moving forward, it is important to point out that domestic dogs probably did not evolve from extant (living) wolves. 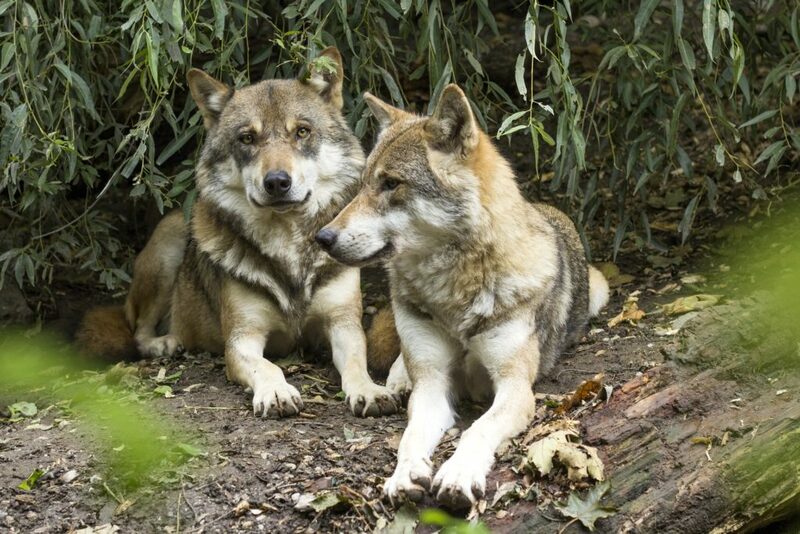 Instead, the evidence appears to show that they diverged from a now-extinct wolf species. In other words, living wolves and living dogs are close cousins, but they aren’t parents and offspring. As human culture evolved, and the process of domestication marched on, our ancestors began exploiting the strengths of dogs more pointedly. Instead of settling for a companion that would deter predators in the nighttime forest and help track down and corral prey, humans began wanting their canines to do specific, often complex and difficult, tasks. We wanted our dogs to guard our sheep, without snacking on said sheep when they grew hungry or board. We wanted dogs that could pull sleds and other items through inhospitable weather and across icy terrain. We wanted dogs that could locate hiding birds and relay their position to us while we walked alongside them with shotguns. And by and large, we were successful. We produced livestock-guarding breeds, sled dogs, and birding breeds. We also produced working breeds and terriers. We even produced dogs who were tasked with nothing more than being well-behaved and cuddly – we call them toy breeds in the modern world. This is a good time to remind you that these dogs – who are currently represented by 350 or so breeds in the modern world – all trace their evolutionary roots to a single population of wolves. This is certainly interesting, but the truly fascinating part is that we’ve managed to create this staggering diversity, in large part, by altering one key behavioral characteristic of wolves. A characteristic known as the predatory sequence. 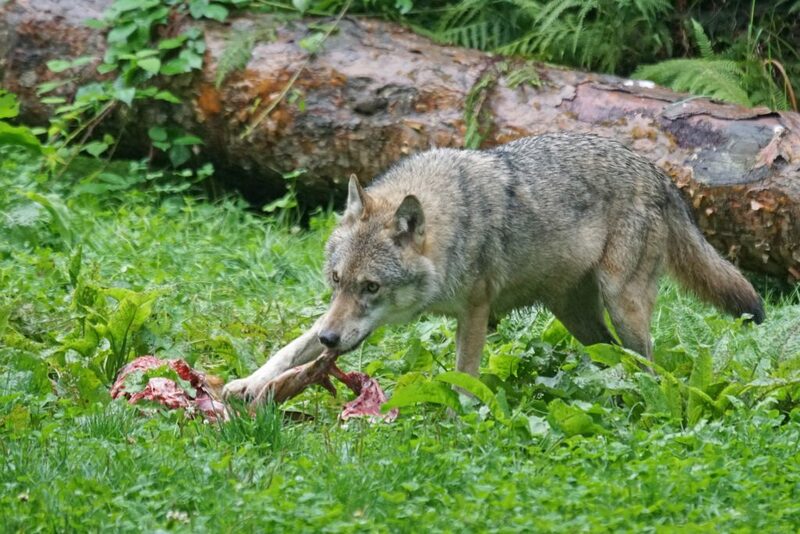 The predatory sequence is a set of behaviors that carnivores employ when trying to obtain food. It’s essentially the same for most carnivores, with small modifications to suit the species and its typical prey (cats, for example, often incorporate a paw-slap behavior when catching small animals). Orient – The dog aims its body and head toward the prey. Eye – The dog locks its eyes on the target. Stalk – The dog begins to creep closer to the prey while trying to avoid detection. Chase – The dog launches the attack and runs toward the prey. Grab Bite – The dog bites the prey animal, often on the rear leg or hindquarters. Kill Bite – The dog bites the animal’s neck or throat with the intention of causing death. Dissect Bite – The dog opens the dead prey’s body cavity. Consume Bite – The dog eats the prey animal. In most cases, the conclusion of one behavior initiates the next. But, if you alter the sequence, strange (and remarkable) things can happen. In fact, if you alter the sequence in just the right way, you get an animal that is determined to sit outside on a cold January morning, wait patiently for you to shoot a duck and then dive in the cold water to fetch it for you. Even more importantly, you get a dog that doesn’t simply eat the duck once it gets there. Instead, it will bring the duck back to you gently, and then climb back in the boat and wait to do it all over again. Alter the sequence this way, and you get a Labrador retriever (or any of the other dozen or so bird dogs, all of whom exhibit slightly different aptitudes and tendencies). To understand how the alteration of the predatory sequence led (in part) to the development of bird dogs (specifically, waterfowl or lowland bird dogs), let’s walk alongside one as it stalks its prey. The Lab begins by orienting itself in the direction of the passing birds. It scans the approaching flock of ducks. When you single one out by shooting it, the dog locks in on the falling bird with his eyes. But instead of stalking the bird – it’s hardly necessary to sneak up on dead birds – the dog jumps in the water and chases down the duck. Spot then grabs the duck. Thus far, the only significant change in the predatory sequence is the elimination of the stalking portion of the pattern. But one of the most important manipulations is about to occur: Instead of picking up the bird as a terrier or pit bull may, which would include a great deal of pressure and shaking, Labrador retrievers pick up the bird gently. They do not exhibit a kill bite. This is important, as hunters don’t want their dogs returning with mangled ducks. Accordingly, labs return ducks to their people and return to the beginning of the sequence. The kill bite portion of the sequence has been entirely eliminated. Early breeders selected for dogs that lacked this kill bite. They picked the dogs who didn’t bite down and savagely shake retrieved ducks. Eventually, these efforts changed the breed. Herding dogs, including border collies, longhaired collies and similar breeds, provide another example. But their predatory sequence has been altered in different ways. These dogs, who work tirelessly to keep a flock of sheep in a compact mass, exhibit the orient, eye, stalk and chase phases of the sequence, but they usually lack grab bites and kill bites. This makes the dogs fantastically adept at moving the sheep from place to place, but it ensures they won’t pounce on the livestock and eat them. Terriers, by contrast, have very strongly developed grab bites and kill bites. After all, terriers were often tasked with pest control duties, and you don’t want to shove a terrier down a hole and have him bring a live rat back to you. Livestock guarding breeds offer another variation on the theme, as they often lack the chase, grab bite, kill bite and the dissect bite. Should one of their charges die, they may continue to guard it faithfully, and they certainly do not begin consuming the animal, unless their owner opens the sheep’s body cavity. Toss a sheep carcass in with a Great Pyrenees and he will just stare at it; toss a sheep carcass in with a pit bull or a terrier and he’ll go to town. Of course, alterations of the predator sequence are not responsible for all of the differences between different dog breeds. Many of their physical attributes, such as size, build, coat color and tail length were selected for independently of the behavioral traits influenced by the predatory sequence. But these goals obviously worked in concert with each other and helped us to completely reprogram a single predator and create capable farm hands, hunting companions, exterminators and house pets to better suit our needs.